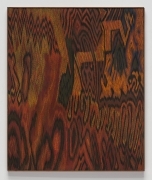 LEE MULLICAN, Meditation on a Southwestern Landscape, 1962, Oil on canvas, 36 x 90 in. 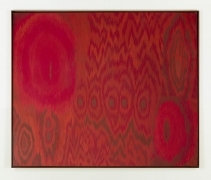 LEE MULLICAN, Threaded Red, 1962, Oil on canvas, 50 x 60 in. 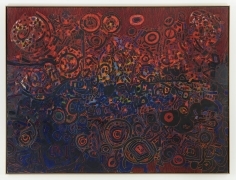 LEE MULLICAN, Caravan to the Sun, 1957, Oil on canvas, 50 x 40 in. 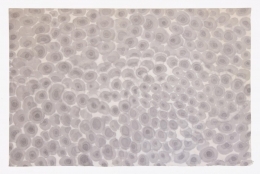 LEE MULLICAN, Untitled, 1965, Oil on canvas, 75 x 100 in. 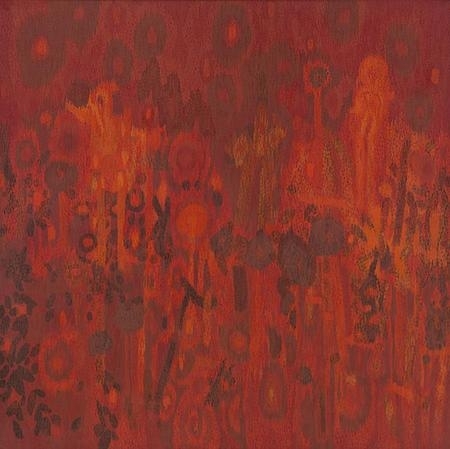 LEE MULLICAN, The Arrival of the Quetzalcoatl, 1963, Oil on canvas, 60 x 50 in. LEE MULLICAN, The Diamond Mountains, 1963, Oil on canvas, 36 x 24 in. LEE MULLICAN, Meditation on the Vertical, 1962, Oil on canvas, 75 x 75 in. LEE MULLICAN, Wedding Party, 1964, Mixed media, 24 1/2 x 20 in. LEE MULLICAN, Untitled, 1967, Ink on paper, 18 x 23 3/4 in. James Cohan is pleased to present an exhibition of paintings by the late California artist Lee Mullican (1919-1998) in the Chelsea gallery space from May 14 through June 18, 2016. The exhibition will feature paintings and drawings from the late 1950s through the 1960s. An exhibition of paintings produced by Mullican between 1949 and 1961 will be on view at Susan Inglett Gallery, located at 522 West 24 Street, from April 28 through June 4. Mullican’s productive sixty-year career was launched in San Francisco as one of three artists who identified as the Dynaton Group. Through a chance meeting, he became close to Gordon Onslow Ford and later met the Surrealist painter, Wolfgang Paalen, who had published the influential Dyn Magazine. Their shared interests culminated in the seminal Dynaton exhibition at San Francisco Museum of Art in 1951 which not only included the work of the three artists, but also featured objects from their own collections of pre-Columbian and Native American artifacts. These works by indigenous artists including kachina dolls, Zuni wood carvings, Sioux pictographs, Navajo rugs, Rio Grande blankets and pre-Columbian and Northwest coast art, were treasured for their powerful rhythms. Though short-lived, the Dynaton Group’s philosophies became foundational to his career. Mullican’s paintings are a uniquely West Coast exploration into abstraction; one that is grounded in content, full of mysticism and connections to the transcendent. Mullican describes, “We were involved with a kind of meditation, and for me this had a great deal to do with the study of nature, and the study of pattern…We were dealing with art as a way of meditation.” This outlook was in contrast to the heroic, action-driven work made by their contemporaries, the New York School of Abstract Expressionists, on the East Coast. Always a seeker, Mullican culled influences from a wide range including his job as a topographer during WWII from which he developed the mapmaker’s bird’s-eye perspective, to Surrealism’s automatism, to Zen Buddhism and later from his studies of the tantric art of India, finding a kinship with the conflation of concepts of outer and inner-space. Lee Mullican was born in Chickasha, Oklahoma in 1919 and died in Los Angeles in 1998. He attended the Kansas City Art Institute after transferring from the University of Oklahoma in 1941. Upon his graduation from the Institute in 1942, Mullican was drafted into the army, serving for four years as a topographical draughtsman. Mullican traveled to Hawaii, Guam and Japan before ending his tenure in the army in 1946, when he moved to San Francisco. After winning a prestigious Guggenheim Fellowship in 1959, he spent a year painting in Rome before returning to Los Angeles where he joined the teaching staff of the UCLA Art Department in 1961, keeping his position for nearly 30 years. He divided the later part of his life between his homes in Los Angeles and Taos, traveling internationally and co- organizing exhibitions at UCLA. 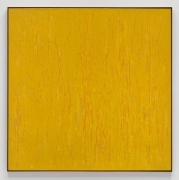 Mullican’s works are included in the permanent collections of the San Francisco Museum of Modern Art, the Whitney Museum of American Art, the Los Angeles County Museum of Art, and the Metropolitan Museum of Art, as well as in numerous other institutions. For other inquiries, please contact Laura Newman at lnewman@jamescohan.com or at 212-714-9500.